I did not model this. But Since there are no good 3D models of Iron man I'm uploading this. American superhero and fictional character based on the Marvel Comics. Tony Stark is forced to build an armored suit after a life-threatening incident. Tony Stark is the invincible Iron Man is fighting for justice. Tony armor is a fictional powered exoskeleton from the comic book. 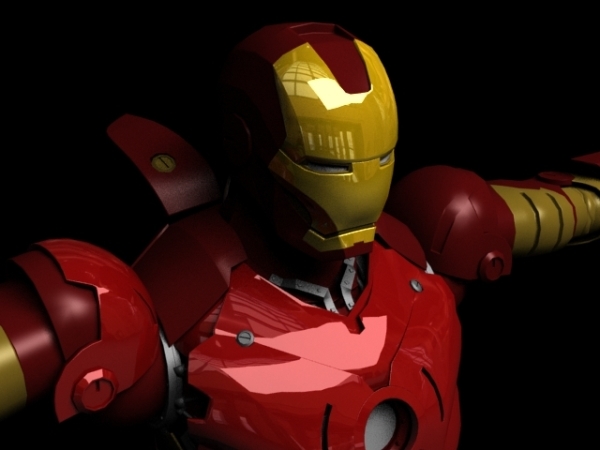 Iron Man suit so awesome that it may well make you squeal with joy. 3d body, boss, brave, robot, businessman, chest, chief, concept, conceptual, confident, defend, executive, front, guy, hands, hero, identity, leadership, male, man, manager, mystery, person, power, powerful, protect, secrecy, strength, strong, suit, torso, young, superhero suit. Guest, 2015-10-31 18:54:36 Some thing is not quite right about the shoulders. Otherwise a great model. Thanks. AwardAdmin, 2013-01-01 14:57:31 Congratulations! Dear artist-3d, your 3-D model design is a Model of the Month! Niko Sheiff, Poland, 2012-11-25 16:17:10 Brilliant model! thank you so much!